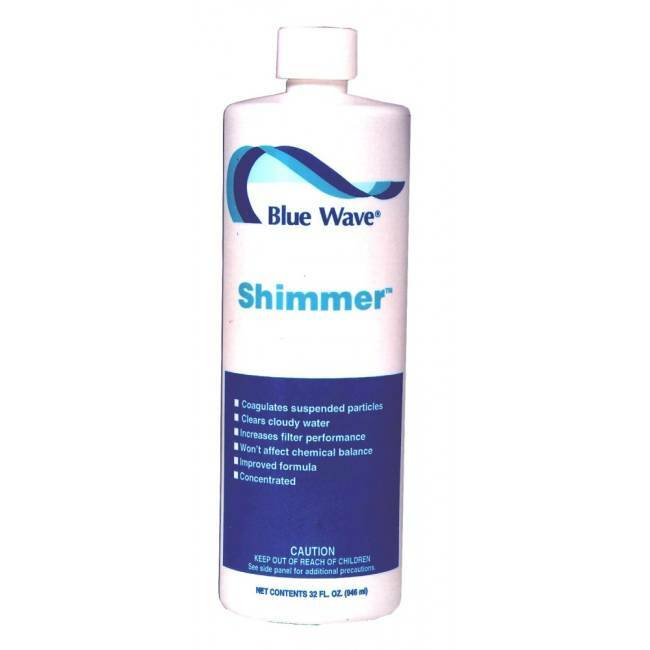 Shimmer Water Clarifier/ 4 x 1qt. Blue Wave clarifiers coagulate particles in your pool water for easy, more efficient removal by your filter. 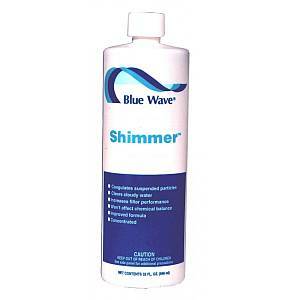 Count on Blue Wave super concentrated clarifiers to clear up you cloudy water, and make it shimmer! Buy 4 quarts and SAVE! Improves filter performance and efficiency. Start-up dosage: 8 oz. per 10,000 gallons.